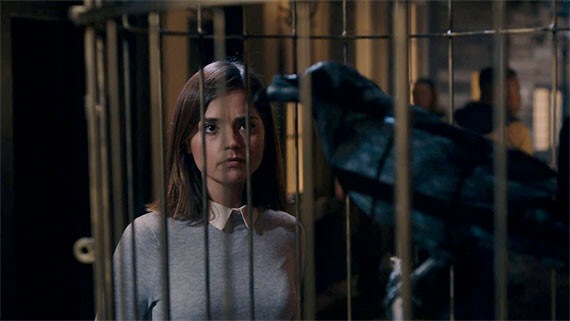 “There’s no nice way to say you’re about to die.” – Face the Raven (Doctor Who) | What Else Is On? A mysterious death sentence connected to a shadowy raven draws the Doctor and Clara to a kind of alien Diagon Alley hidden in London, where they meet Maise William’s Ashildr again, and try to solve a murder-mystery before time runs out. 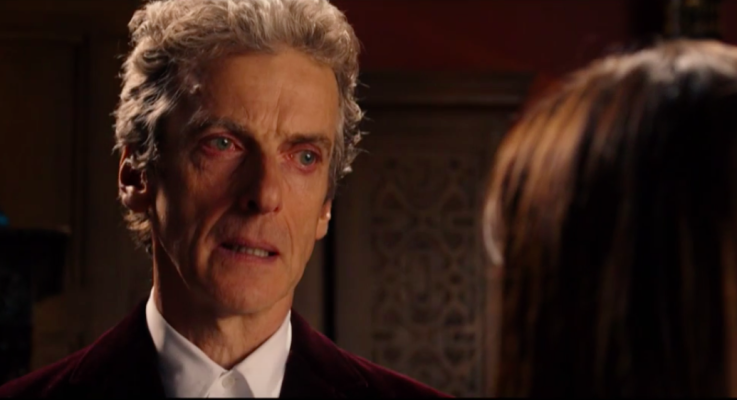 Which is all pretty interesting and all, but c’mon: all anyone’s really thinking about after this episode is that last 10 minute scene where Clara takes the death sentence onto herself, says an emotional goodbye to the Doctor, and, well…dies. Clara has unfortunately been written pretty inconsistently this season, but at least for her swansong everyone brought their A-game. 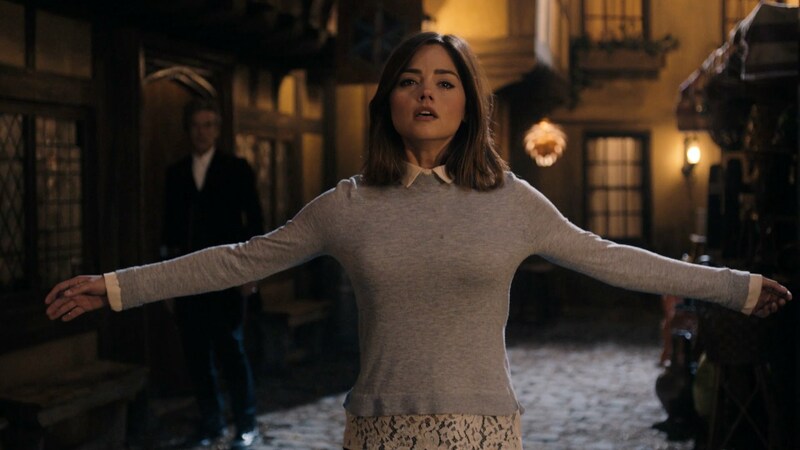 The consistency of character that made Clara so endearing and interesting as a character last year comes back in “Face the Raven”: the episode is like a greatest hits for Clara, that ties many of the character traits we’ve seen before (many of which have felt a bit random and thrown together) into a consistent inner life and psychology. 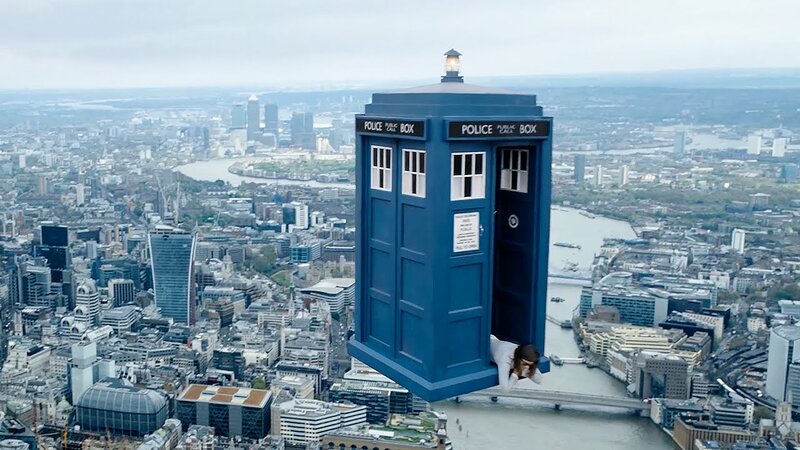 An idea that cropped up in spots last year (and kiiiinnd of a little this year, if you squint past bad writing) is the increasing recklessness that life on the TARDIS has brought out in Clara: this was a point that bothered her boyfriend Danny a lot last season, and was part of his accusations that the Doctor was “an officer” who pushed other people to risk themselves for him. It’s this recklessness that eventually leads to Clara’s death: she transfers the death-curse from Rigsy onto herself without really working out a solid plan to stop it, or even listening closely when she’s told the rules of how the curse works. But Clara’s recklessness isn’t only her unprocessed grief, it also ties back into another of her well-established character traits: wanting to be like the Doctor. It’s a comparison that was made a lot of last year, particularly in “Flatline”, where Clara played the role of substitute Doctor for an episode, and “Death in Heaven”, which opened with her claiming “I am the Doctor” and putting Jenna Coleman’s portrait instead of Peter Capaldi’s in the opening credits. In combination with her recklessness, it’s Clara’s attempts to be like the Doctor, justifying her risky plan by quoting “Doctor 101” rules, that lead to her death. And then her status as a kind of apprentice-Doctor leads to one of (the many) gut-punch lines in her final conversation with the Doctor: “Why shouldn’t I be reckless? You’re reckless, all the bloody time. Why can’t I be like you?” – with the way her voice breaks on that last question. Ooof. The Doctor’s answer “Clara, there’s nothing special about me. I’m nothing, but I’m less breakable than you” shows that Clara’s fatal flaw isn’t trying to act like the Doctor and failing: her flaw (if we can call it that) is that she succeeds in acting like the Doctor, but without having his convenient super-powers. She dies saving someone, just like he does every 3 or 4 years – she just doesn’t have the luxury of coming back to life with a new face afterwards. Ok, but to look at some slightly more hopeful/uplifting aspects of Clara, this episode does a great job of showing that the Doctor and Clara really are best friends, and the people who know each other best in the world. It’s established almost first thing in the episode, and their friendship is touched on a couple more time before things go south, particularly with that fun “It’s really cute that he thinks I don’t know him” line. 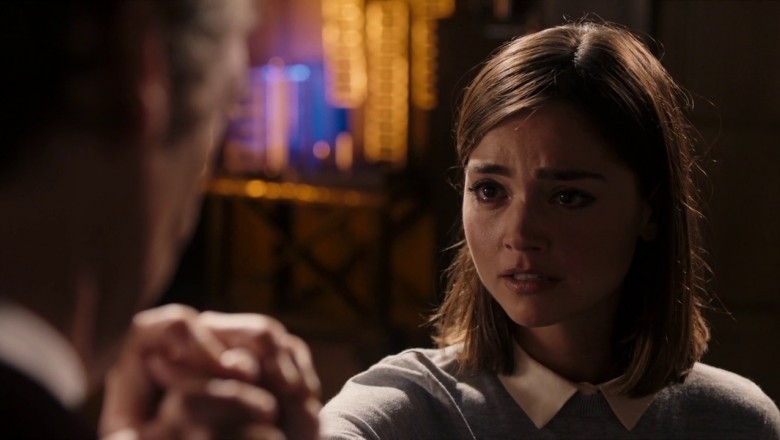 Because of their closeness, the fact that she knew so much about him and that she had played such a huge role in so many of the biggest, most epic moments of his life, the power-dynamic between Clara and the Doctor was far more equal and balanced than the dynamic he had with any other companion. She was a friend and equal partner, rather than an “assistant”. It’s why I still think the defining Clara line is “You’re not my boss, you’re one of my hobbies.”, and why she remains maybe the only character in the series’ history who could say “Do as you’re told” to the Doctor and not only mean it, but have him take it totally seriously as well. And as we come to the end, there’s one more aspect of Clara’s character highlighted in her swansong. A big part of Clara earlier in her run was the idea that she wasn’t naturally brave: that she had to really steel herself before she could handle situations that would have been fairly normal for the average Doctor Who companion. That characterisation kinda fell by the wayside after a while (I think the last time we really saw it was in “Deep Breath”), to be replaced by her reckless/Doctor-like behaviour. But this trait, that she’s not naturally and automatically brave, returns here in her final moments. And then, her very last lines, whispered to herself as the raven swoops towards her, are a repeated “Let me be brave. Let me be brave.” – It’s a really nice grace-note for the character, bringing her full circle and tying back in with one of the first things we learned about her. Everybody makes a big deal about Rose, and even Donna (who I far prefer), but Clara has had a huge impact on the Doctor’s life, way moreso than any other companion: she jumped into his timeline and saw his entire life history (including travelling back to Gallifrey to set the plot of the entire TV series in motion), she was the one who finally pushed him to overcome his guilt and change the outcome of the Time War, consoled him when he thought he was about to die (at least twice – grumble grumble), and even met and comforted him as a child. The next episode apparently has only one actor (Peter Capaldi) in it for the whole run time, so that’s going to be interesting to say the least. We’ve seen the Doctor withdraw and freak-out after losing companions before, but there’s a real case to be made that Clara is the best and closest friend he’s ever had. I’m really interested to see how his grief at losing her will be portrayed, and how that will be made to feel more impactful and different from all the other times he’s grieved after a companion’s actress has left the series. 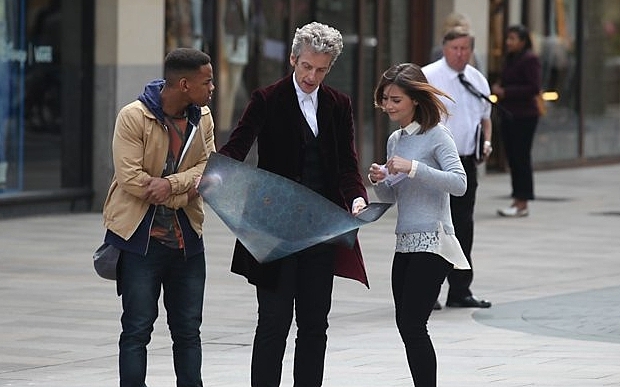 Oooh, the Doc’s minimalist magician look is back! Written by Sarah Dollard, this is the second episode scripted by a female writer this season. Hurray for progress, keep up the good work! Absolute props to Jenna Coleman, who brought all her considerable talent to this last episode, especially that farewell scene with Capaldi. She was (as I’m sick of pointing out at this stage) really underused this year, but I’d still argue she’s the most talented actress ever to play a Doctor Who companion. This entry was posted in TV and tagged Cian, Clara, Doctor Who, Face the Raven, Jenna Coleman, Peter Capaldi, Sci-fi, Series 9, TV. Bookmark the permalink. Jenna will be missed. I haven’t seen many Doctor Who’s but I do think she was a wonderful companion to the Doctor and it will indeed be interesting to see what happens next. The final episode for her character was adequate enough in my opinion. I think the death scene was overdone only for its length. I do agree completely about the brave/not brave aspect of her character and how it played itself out. I know how historic the series is and I do hope to eventually reach back in years and see as many episodes as possible. Excellent review!